Who Are Trevor James Brass? We are a young and dynamic company based in Lenham (UK) who have specialised in the design and manufacture of brasswind instruments since 2010. Whilst we are known around the world for our multi-award winning ranges of flutes and saxophones, we gradually began to move in to the field of brass instrument design and distribution following requests from international music instrument distributors at the major industry Trade Fairs in Frankfurt, Shanghai and NAMM in Los Angeles. Led by London orchestral trombone player David Holt who was critical to ensuring that the TJ Renaissance range of brass instruments were designed with the highest performance levels possible, the team at TJ brass now have a full line of instruments from cornet and trumpets to tubas. 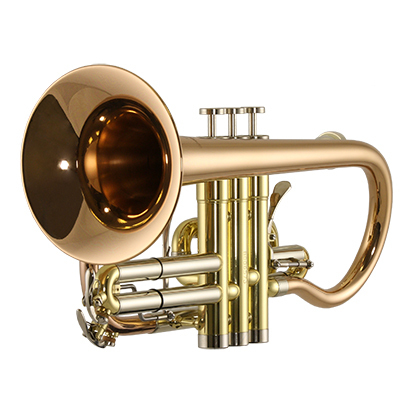 David and his team spent several years working closely with brass players and designers to determine the designs and features required to create a range of brass instruments, which will enable players to reach these goals. With a range of design features unique to the Trevor James Renaissance range of brass, including the TJ acoustic bell brace, we believe that the Trevor James Renaissance brass range has set a new standard in brass manufacture and design and is clearly ‘Built to Perform’.